"I love this game. I can play it for hours"
"This is a terrific game and its very challenging and one of my favorites"
Is your brain flabby? 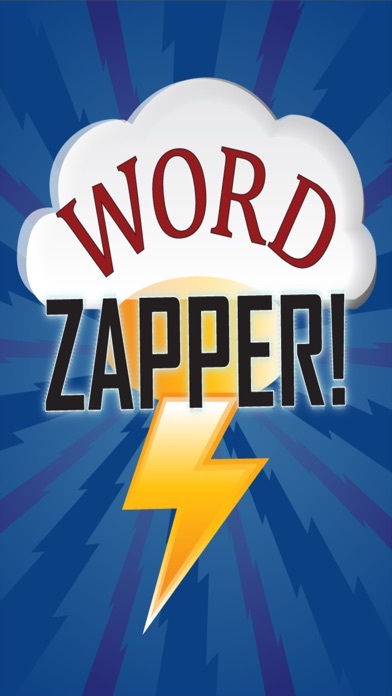 Time to ZAP it into ACTION with Word Zapper! The rules are simple. 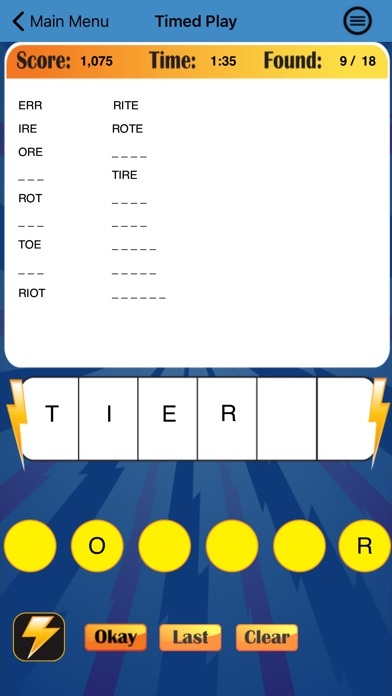 Combine the six letters on the screen to make as many words as you can before the timer runs out. As you wind your brain up, you’ll nail the high score. The goal of every level is to solve a 6 letter word. Once you do that, you are allowed passage to the next level. If you get stuck, just tap The Zapper to rearrange the letters! Doing so will often reveal previously overlooked letter combinations to give your brain a jolt! What are you waiting for? Zap to it! • Track your personal high scores. 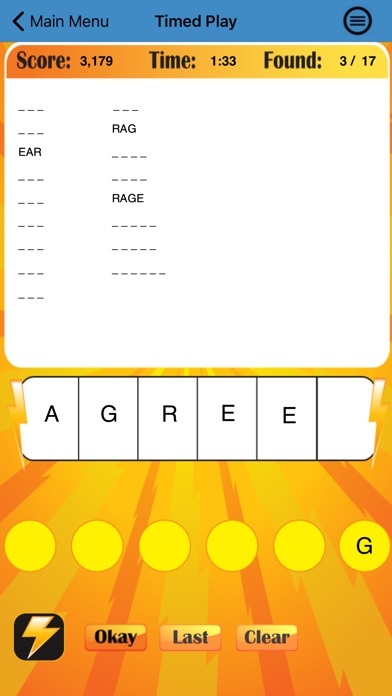 • Over 10,000 words to solve! 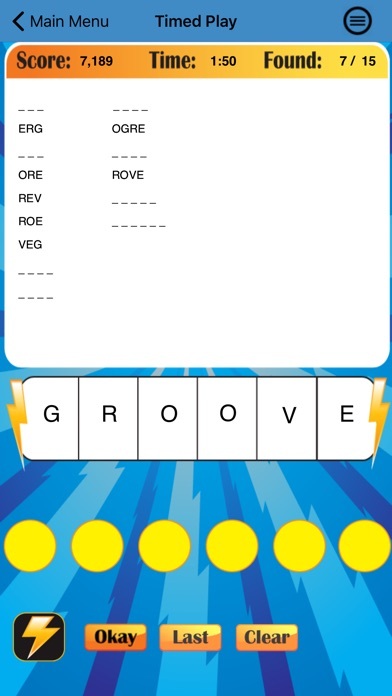 • Display the definition of any solved word (only real words used here). 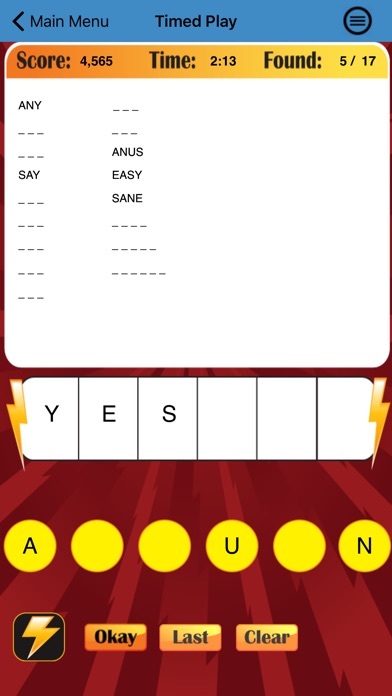 • Customize the display to show word hints sorted by length or as one entire alphabetical list. • Includes animation and sound effects for added realism. 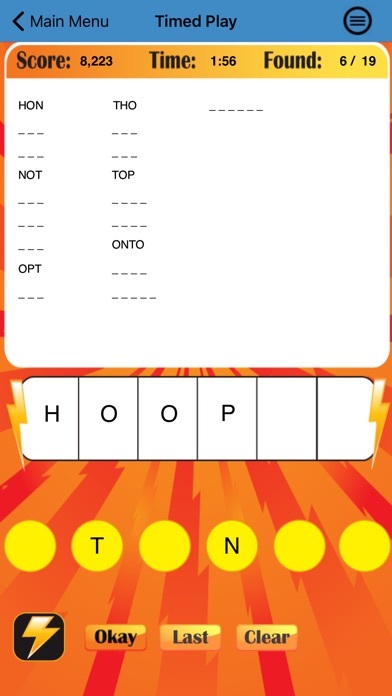 • Share your high score with all Word Zapper users. Now using Game Center. You think you have what it takes to beat this? Timed Play gives you three minutes to move to the next round. Your goal is to find as many words as you can. There are actually several ways to move to the next round: solve all three letter or four letter or five letter words or one six letter word. This gives you more ways to move to the next round. 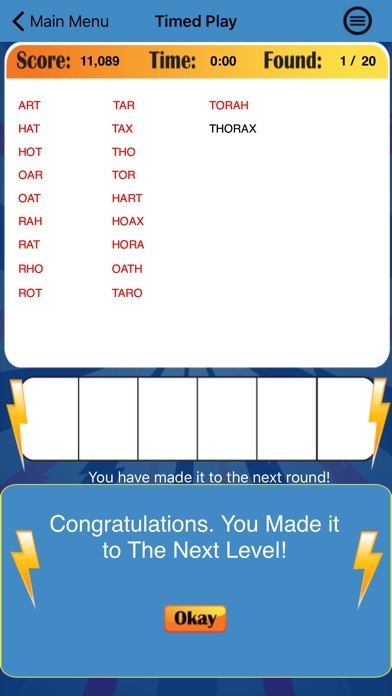 Crank out extraordinary scores by solving as many words as you can and moving into additional rounds. 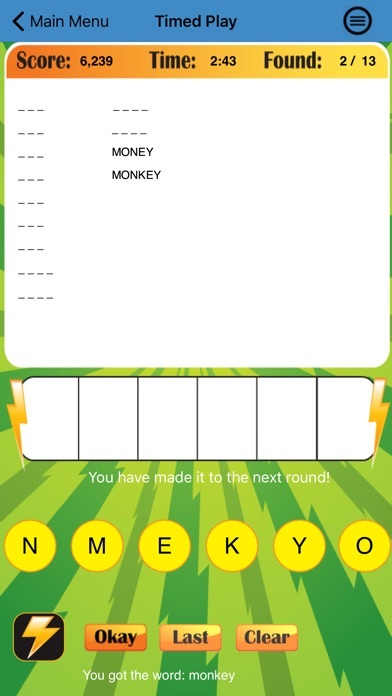 Infinite Play is untimed and you must solve all the words to move to the next round. There is no high score board for casual play and you can play the same game forever! 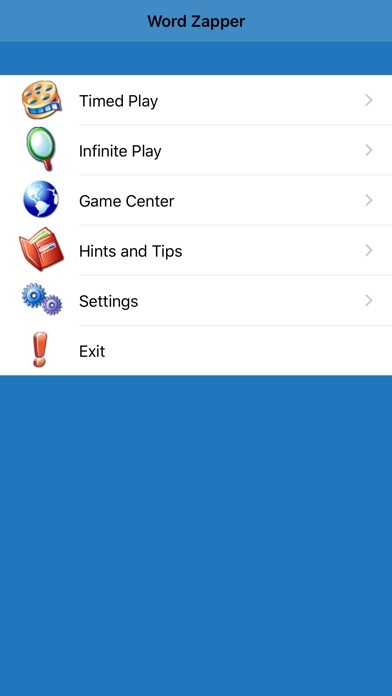 Options allow you to turn off sound, choose results in upper or lower case, and choose how to sort words. 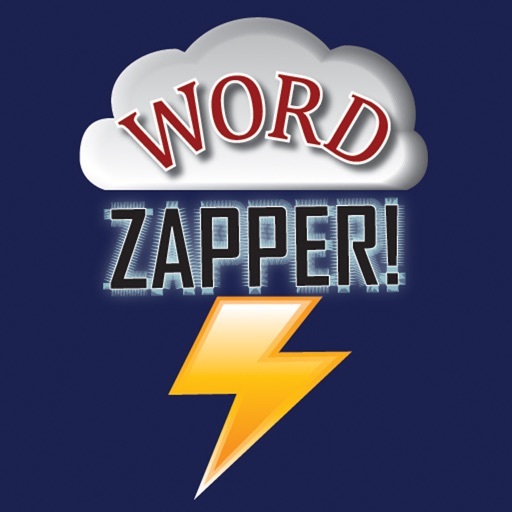 View all your high scores, along with the global community of Word Zapper users. Compete your score against others and see where you stand! - Tenth anniversary Edition. Updated for latest devices. - This Universal App runs on all iPad's and all iPhones. No separate purchases. - All New Animations make it look better than ever. - Now uses Game Center to report high scores and to view leaderboards. - New sound and game play to tweak the best performance of all. 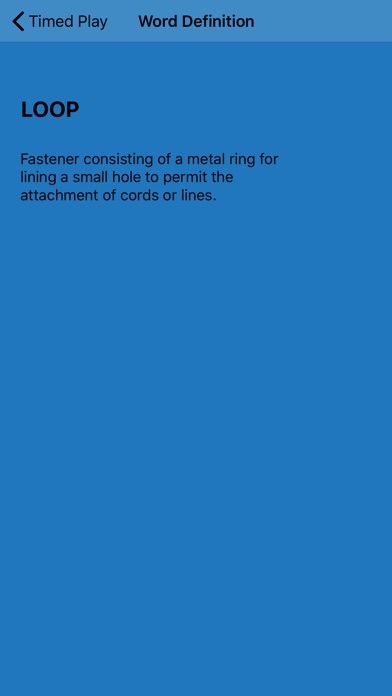 - Built in Dictionary provides word definitions.